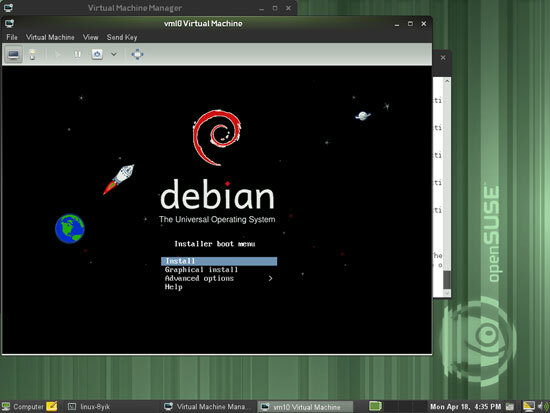 The KVM guest will now boot from the Debian Squeeze Netinstall CD and start the Debian installer - that's why we need to connect to the graphical console of the guest. 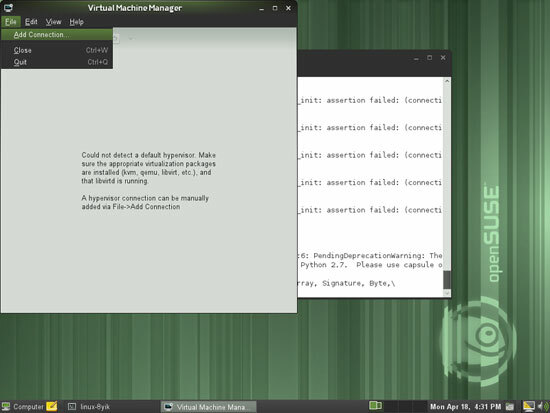 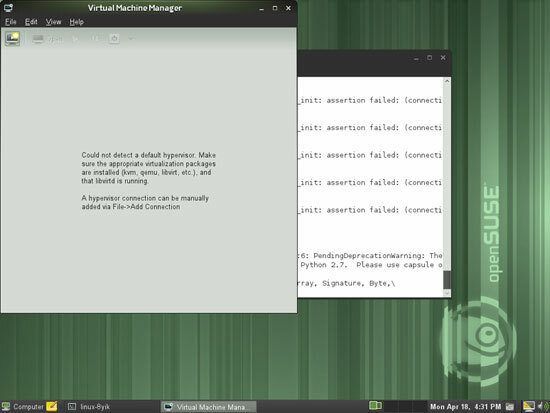 You can do this with virt-manager on the OpenSUSE 11.4 desktop. 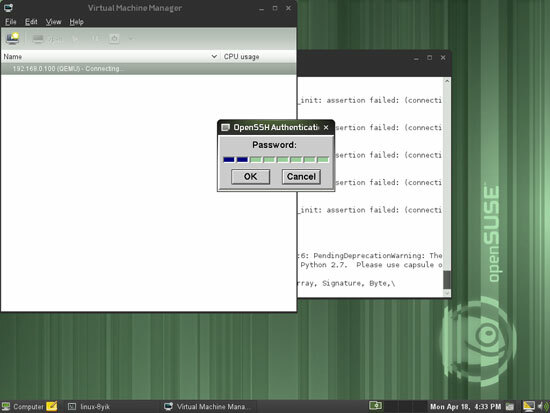 When you start virt-manager for the first time, you will most likely see the following message (Could not detect a default hypervisor.). 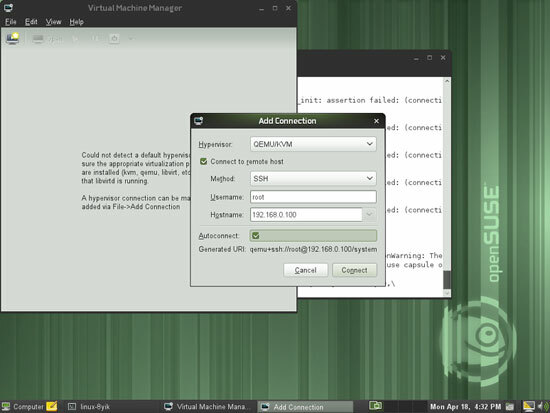 You can ignore this because we don't want to connect to the local libvirt daemon, but to the one on our OpenSUSE 11.4 KVM host.